Don’t look now, but summer is over and the temperatures outside are plummeting. Denver is already starting to experience some cold nights and mornings, but the true cold is on the horizon. That’s why now is the time to make sure your heater is in tiptop condition and ready for the cold months that lie ahead. Here are a few simple things you can do to get your Bryant heater ready for the fall and winter. Filter Maintenance: — Your Bryant Heaters need their air filters changed. Yes, your furnace get clogged up with dust and other contaminants over time. Before turning on your heater, make sure to change out the filter so that you have smooth air flow when you need it. Schedule your annual maintenance — It’s a good idea to have your Bryant HVAC system inspected and maintained annually by our licensed technician. Regular maintenance will keep your heater running smoothly and extend its lifetime. Start up your Bryant Heater — You don’t want to wait until the first cold front blows in to turn on your heater. Don’t be the customer that calls when it’s cold and you have no heat, be prepared prior to the season so, take a little time right now to turn on your heater for a test run. This will give you the chance to identify any possible problems that might have developed. Sanders & Johnson can help you with all of your home heating needs, from routine maintenance to Denver furnace repair. 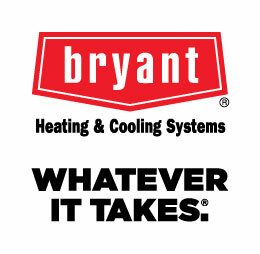 Call us to find out more about your Bryant Heating and Cooling system today!